Here's What WWDC 2018 Offered To The Tech World - AndroGuider | One Stop For The Techy You! Apple's WWDC 2018 wrapped up recently and today we are going to have a look at what the company announced and the path they are working on. The annual developer conference, which took place in California, aims at releasing new software updates and various other stuff for developers and consumers. Apart from the changes to the software, we sometimes get to see fresh hardware which either releases immediately or is under development and is to be released at some point later in the year. This year's developer conference was more into the software arena and here's a brief summary of what the company announced. The first announcement at WWDC was about the update to iOS. iOS 12 is the next major software from Apple, which as the company states, is majorly focused on improving and enriching user experience through performance and stability upgrades. Apple has integrated an app called 'Screentime' in iOS 12. As the name suggests, this is a statistics app which shows the user how much time they have spent using the device. 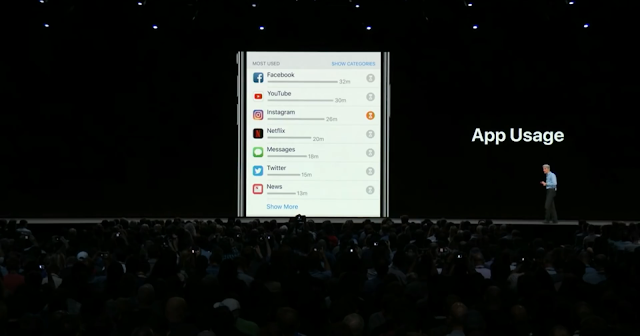 Screentime will also show how much time has been spent on each individual app, and if the user feels they have spent excessive time on an app, there will be an option to help the user limit the time spent. Apple fans have for long been requesting the support for grouped notifications, and Apple has finally obliged. 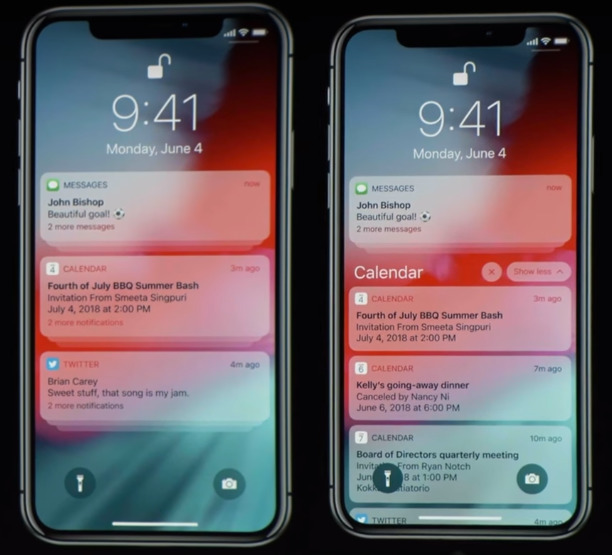 iOS 12 groups multiple notifications from the same app, and collectively shows them under a single notification as a stack. All of the notifications can be viewed by simply tapping on the parent notification. Once all the notifications have been viewed, they can be hidden by clicking on the 'Show less' button which can be found either adjacent to the parent notification or at the end of the notification stack. However, grouped notifications are currently in beta, and as a result, they don't work perfectly right now. MacOS is also getting an upgrade. The new version of the operating system is dubbed as 'Mojave'. This seems like a strange name at first sight, doesn't it? The Mojave Desert is the driest desert in North America. Like iOS 12, this update is also aimed at productivity and performance enhancements. MacOS Mojave will add a stacks mode which will group the same category of files under a single header. Apple says that this feature will help in avoiding cluttered desktops and keeping files organised. Several design changes are being made to the Product page in the Mac App Store. The user interface of the App Store has been enhanced to make it easier for users to find the apps they are looking for. MacOS Mojave also includes a system-wide dark mode, which when selected will make the background of all the apps dark. 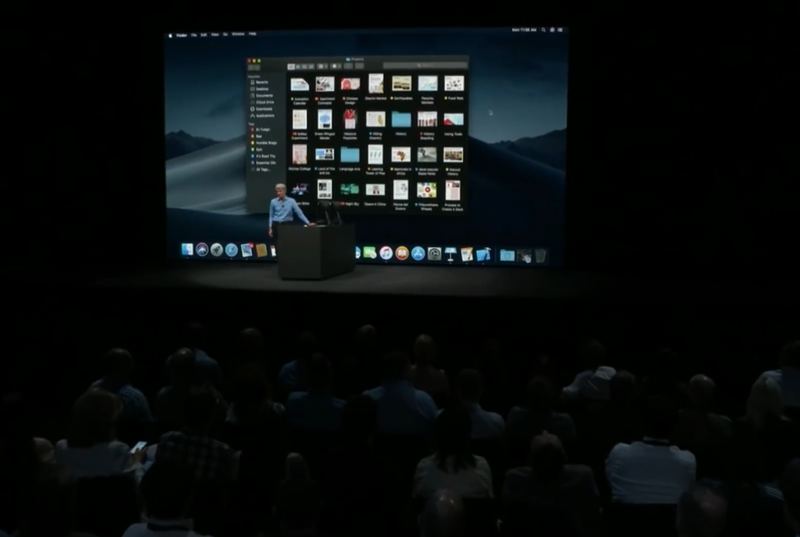 With Mojave, Apple is also bringing some of its iOS apps to MacOS. These include News, Stocks, Voice Memo, and Home apps. 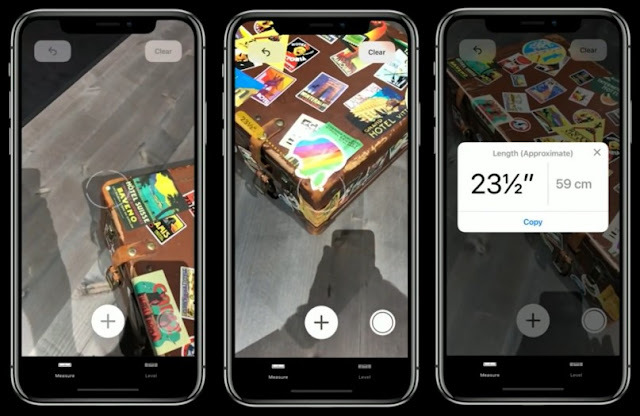 Augmented Reality is in trend and Apple is betting on it by announcing ARKit 2 which is a new refreshed version for developers to create AR experience into their apps. ARKit 2 includes improved face tracking and support for USDX which enables sharing of AR experiences across multiple devices. Apple also showcased the 'Measure' app which makes use of augmented reality to calculate the width and height of objects. 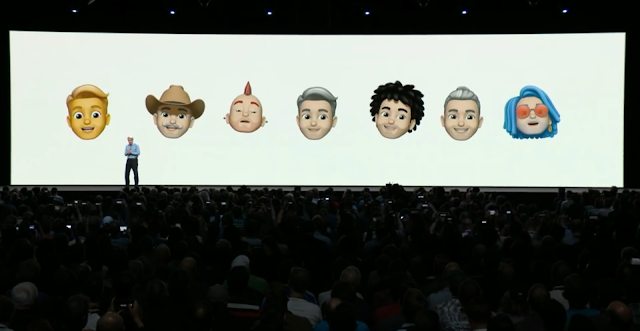 "Your Memoji can look like you or the real you"
The most interesting announcement was about Memoji. Yes, you heard it, it's a thing now! Memoji is a custom Animoji of yourself. You will be able to customize all the aspects of the emoji, from the face style and beard to the eyebrow shape, makeup, and hair. And since a Memoji is an Animoji, the Memoji will mimic all of your movements like an Animoji does. Memoji will be shipped in iOS 12, and will be integrated into iMessage. 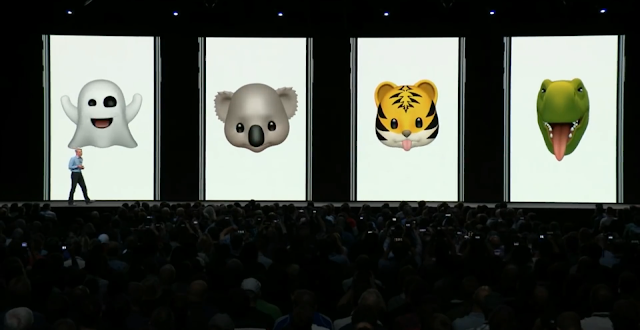 There are several new Animojis too. Apple says that the new Animojis, along with the previous ones, will now poke out their tongue when the user does the same. What is a developer conference without some pinch of Artificial Intelligence, so here's where Siri comes into the story. Siri is getting some good upgrade and will now provide suggestions for apps that you want; suggestions could be based on locations also. Not a wow element, but Siri will now suggest you to call people on their birthdays or call your partner in your day to day routine. So, Siri is basically going to take care of your personal life as well which may not go comfortably with some people. 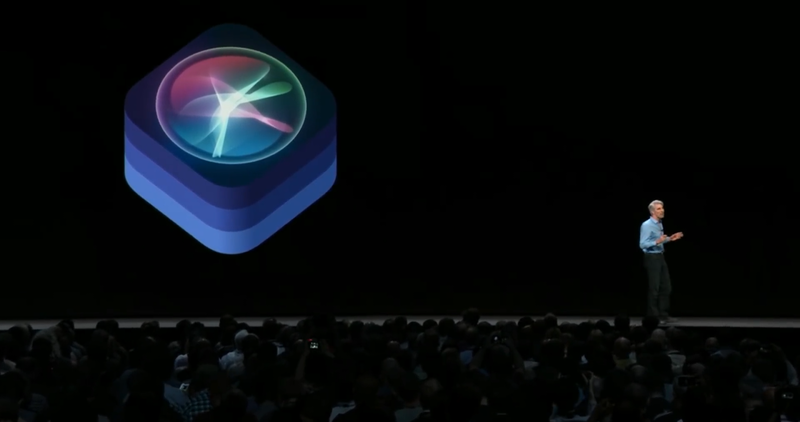 The biggest announcement for Siri was Siri Shortcuts. According to Apple, Shortcuts are a series of steps which will be executed when a particular voice command is given. In the image shown above, when Siri given the command 'Heading Home', Siri will open Maps and show the fastest possible route from the current location to home. The thermostat temperature will be set to 70 degrees, the fan will be turned on, and a message will be sent to Sheryl Lynn with the ETA. 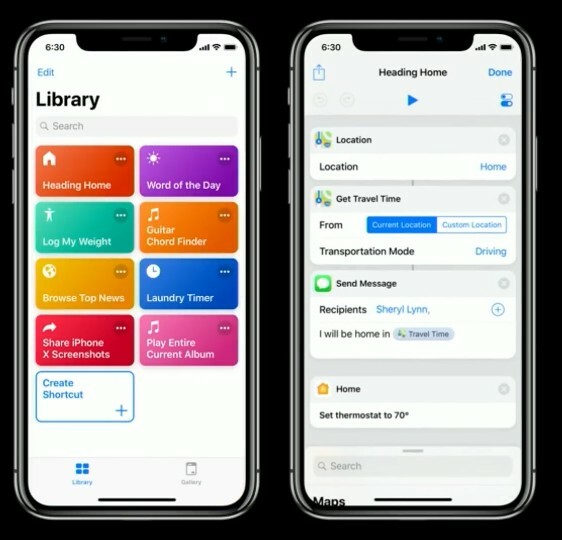 Siri Shortcuts will be available both on iOS 12 and watchOS 5. 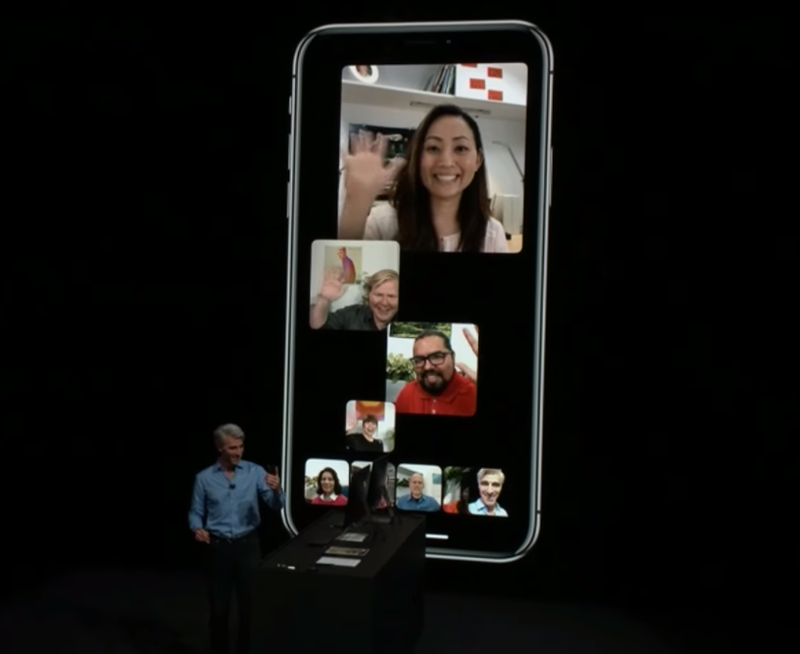 Apple has updated FaceTime with support for group chats. Now, up to thirty-two people can be added to a FaceTime chat. These two biggies in the Apple world are also up for some goodies. watchOS will now get suggestions from Siri and will trigger Siri through raise of wrist towards your face. Another feature is the Walkie-Takie mode, which is nothing but like sending short voice notes. 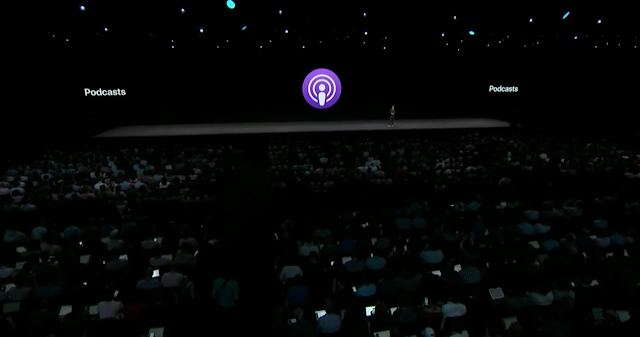 The cool thing is that watchOS is now getting the Podcast app which will automatically sync subscriptions from iPhone, and allow the user to browse shows and episodes. The user will also be able to make use of the forward and rewind controls in the Podcast app in addition to the playback speed. This update of watchOS will allow using Apple Pay straight from the Apple Watch, and it also makes the Control Center customizable. The tiles in the Control Center on the Apple Watch can now be rearranged. 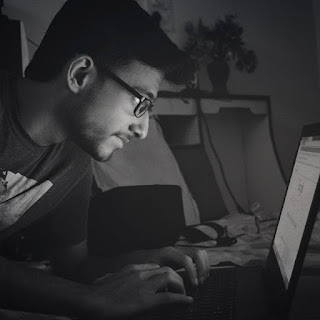 This is a welcome addition since different users may prioritise the use of different tiles, so giving more control to the user will help in enriching the user experience. In watchOS 5, users will be able to challenge activity sharing partners to a seven-day competition. Also, if the user forgets to initiate the workout session on the Watch, it will do so automatically. Apple has also added previews of URLs of watchOS 5.
tvOS is getting some exciting updates too. Dolby Vision and Dolby Atmos support will be added to tvOS later this year along with some new sports and news channels. 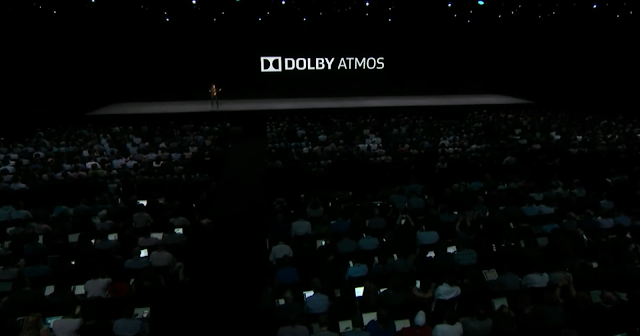 Adding to this, Apple also showcased some of the 4K screensavers it has designed for TVs. 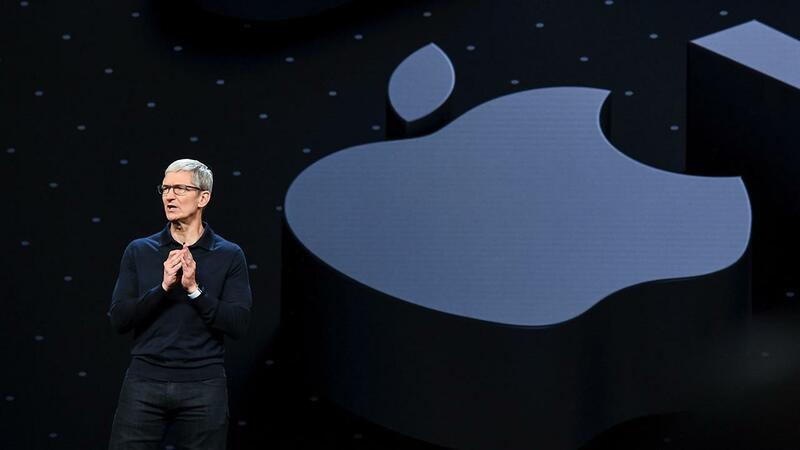 These were the major announcements by the company at this year's WWDC. Let us know which one excited you the most!